The Healthcare Supply Chain Association (HSCA), formally HIGPA, is a broad-based trade association that represents 15 group purchasing organizations, including for-profit and not-for-profit corporations, purchasing groups, associations, multi-hospital systems and healthcare provider alliances. A group purchasing organization (GPO) is an entity that helps healthcare providers — such as hospitals, nursing homes and home health agencies — realize savings and efficiencies by aggregating purchasing volume and using that leverage to negotiate discounts with manufacturers, distributors and other vendors. The Association is designed for the healthcare executive who believes that networking is a key to understanding the industry. It is for executives who believe that networking can help facilitate positive change leading to better strategies and action plans. 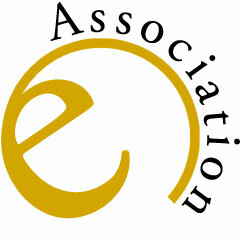 All ANAE activities are based around networking opportunities or they create an atmosphere conducive to networking. The Advisory Board Company is the leading provider of comprehensive performance improvement services to the health care and education sectors—including operational best practices and insights, business intelligence and analytic tools, management training, unbiased technology evaluation, and consulting support. Drawing on nearly three decades of experience, The Advisory Board Company is privileged to serve a membership of more than 2,800 organizations—including preeminent hospitals, health systems and universities—all sharing a charter “above commerce,” a commitment to best-practice standards, and an unyielding insistence on continual improvement.